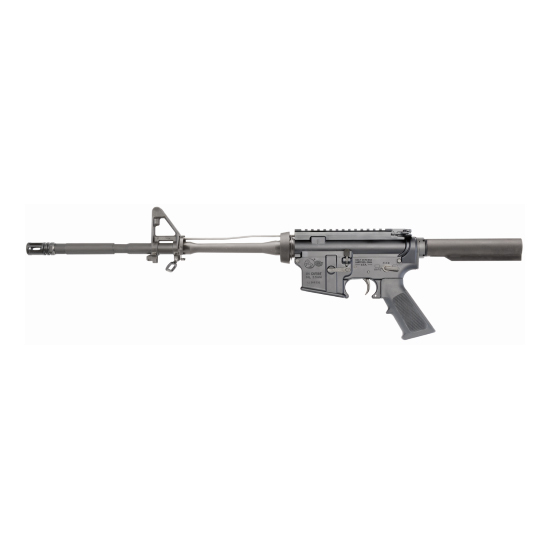 Colt LE6920-OEM1 LE6920 SA 223 Rem|5.56 NATO 30+1 16.1 Post Fnt No Furniture Blk in. The Colt LE6920 features a 16.1 chromelined barrel with a 17" twist an adjustablepost front sight. It has a matte black metal finish. This model has no furniture and is ready to customize with your dropin handguard or rail system buttstock and rear buttstock and rear sight optic."